Government buildings, embassies, VIP residences as well as armored cars in Kenya use bulletproof glass manufactured at Impala Glass Industries, Kenya. This kind of glass is made from several layers of glass of various thickness and bonded together with tough polyvinyl butyral (PVB) interlayers. Also known as ballistic glass, transparent armor, or bullet-resistant glass, it has the appearance and clarity of standard glass. However, it is fashioned from tough optically transparent material that is particularly resistant to being penetrated when struck. The weight of the bullet resistant glass is lesser than that of laminated glass yet its level of protection is enhanced. The thickness of bullet-resistant glass can range from between 7 millimeters and 75 millimeters and the ability of the polycarbonate layer to stop projectiles is directly proportional to its thickness. On attack the front layers of glass bear the brunt of the force and absorb the initial impact energy and shatter. However, subsequent glass layers and the layered polycarbonate-glass material absorb the lower level shock waves and stops the bullet before it exits the final layer. 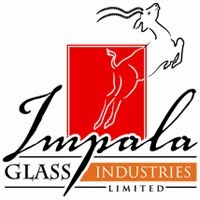 Log onto impala.co.ke to view Impala Glass Industries’ complete range of automotive and architectural glass. I'm looking for the best Bullet Proof Glass in the Philippines. Do you know one?